For my second recipe for International Scone Week 2017 I decided to make olive oil scones. These come from a recipe from 1984. When I started high school we were given subject choices. We could choose between Art and Accounting and this choice determined our class. Another choice was between French and Typing and the third allowed us to do Home Economics and something else. From the last statement you can guess that I took up Home Economics. I also chose Accounting and French. After a year I swapped Accounting for Art hoping I would be better at drawing than adding up columns of numbers. My mom recently sent me my Form 2 recipe book which has 19 recipes in it. My plan is to make my way through it one recipe at a time. Some recipes are handwritten and others were printed out for us. We had to submit our books for marking, and were marked on listing the correct equipment. We were also marked on writing down the method correctly. I think I am going to get hold of my teacher and tell her that was a fail. The recipe calls for vegetable oil but I chose to use olive oil to make Olive Oil Scones. They were so good that I whipped up a second batch straight away. 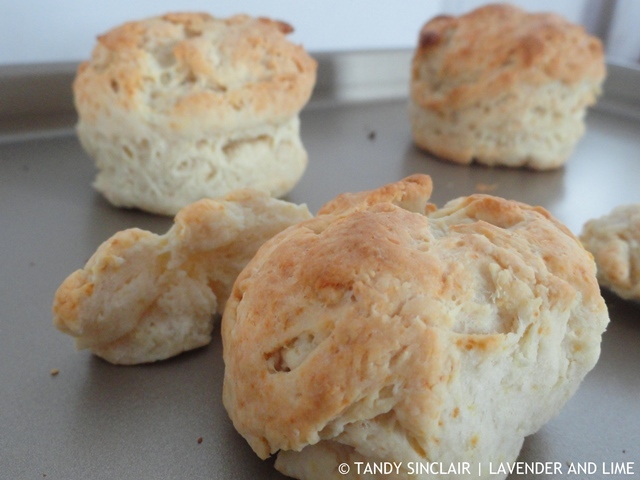 These olive oil scones look so delicious, Tandy. I love olive oil in my recipes, and I can tell this would taste divine. 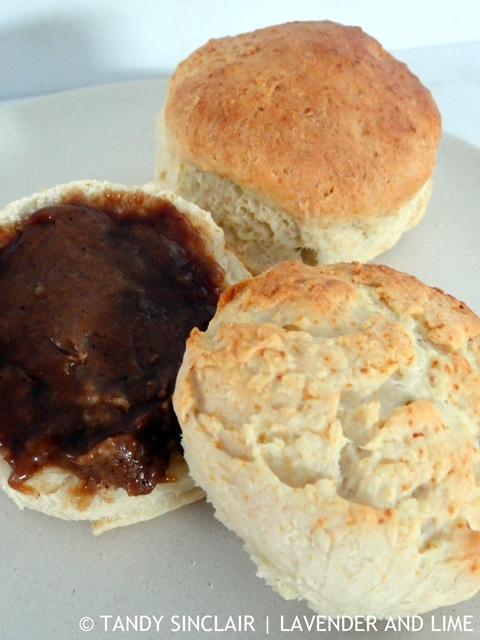 Hi Tandy, these scones sounds wonderful, will definitely have to try this recipe. We did not have many choices back then, I did home ec and welding. Welding? I would have loved that! oh wow! i really liked the scones from my grade school cooking (mine was just cooking, no sewing/home ec/etc) class too (: these definitely sound fancier with the use of olive oil though! I’ve never baked with olive oil, I’d love to give these a try. What a lovely blog you have, glad I found you. Haha, so far all I have managed is one recipe! I was really pleased that they worked out so well. Unfortunately, we did not have any options to choose either Home Economics or Accounting, or Typing. It was foreign languages, only. I don’t think it was bad but now I understand, reading your post, how much I have missed. Since I honestly believe olive oil is one of the most valuable treasures Nature has given us, your scones must be heavenly good. Will do as soon as the temperatures are back to normal. Thank you dear Tandy ! now that’s interesting tandy – olive oil in scones. i bet it tastes great. These scones look so good! I will be adding your Olive Oil Scones on my list of things to try soon. Thanks for sharing! A very interesting post to me, Tandy. I took history, science, accounting and maths as my four non-language subjects at school. Now, as a adult, I often wondered why I took science which I have never, ever used in my life. I would much rather have taken home economics – much more useful. Home economics was mandatory for us from grades 5-8, all boys and girls took it. I have some vivid memories of a few things we made as well. I have only been able to find a few of the recipes though. Who knows what happened to the rest. Olive oil scones sound quite tasty, nice to know you improved on the instructions! Mark chose to do Home Economics which was quite strange as he was not a great eater when he was younger. I think it is a great idea to make life skills such as these compulsory. Ooh I must give these a go! I’ve only ever made them with butter or cream but olive oil would give them such a lovely taste. I still have my home economics book too somewhere but I have memories of some of the ‘delights’ we made! Aberdeen sausage for one was a type of meatloaf. And Kentish cake was a chocolate and coconut one. No scones though these ones looked interesting. Oh, I would love to try some of your recipes!